(Natural News) Following the shocking revelation that the largest “recycler of organic waste in the United States” had been engaging in illegal bribery schemes to boost corporate profits, Synagro, the nation’s largest manufacturer of toxic “biosludge,” ended up having to file for bankruptcy protection upon determining that the company could no longer meet its debt ratio requirements. According to reports, Synagro Technologies Inc., now owned by Carlyle Group L.P., decided to file for Chapter 11 bankruptcy protection back in 2013, at the time announcing that it planned to sell the company to a private equity firm in Sweden for a cool $455 million. Carlyle is said to have borrowed “heavily” in order to take on Synagro itself back in 2007 as part of a massive $772 million buyout deal. But everything went south after it was revealed that Synagro had been bribing politicians in order to get its biosludge operations approved in various locales, resulting in prison time for several of those involved with the illicit scheme. In essence, the biosludge industry, led by Synagro, has been in bed with environmental groups, which allowed for the company to dump toxic waste products all over American farmland – a highly profitable endeavor that, despite all this corruption, still ended up resulting in Synagro going bankrupt. 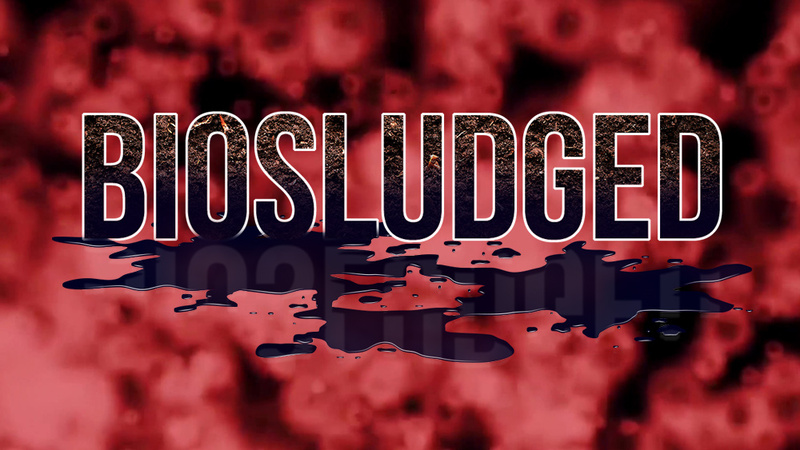 Be sure to check out the highly-acclaimed documentary Biosludged, which reveals all the dirty secrets of the biosludge industry that politicians and environmental groups are ignoring. While the goal of Synagro’s bankruptcy deal and potential sale to E.Q.T. Partners, the aforementioned Swedish firm, was to eliminate the company’s out-of-control debt, reports indicate that things didn’t quite go as planned. Instead of ensuring that all of the company’s debt was fully accounted for, the deal ended up leaving as much as $60 million worth of unpaid bills in its wake, for which Synagro’s lenders were basically hung out to dry. Meanwhile, Synagro has gone on to rake in tens of millions of dollars in profits as a result of its questionable contracts with municipalities all across the United States, many of which are now regretting the decision, as it’s left some of them teeming with smelly, toxic waste. “The odors are not trivial,” says Tracy Carluccio from the Delaware Riverkeeper Network. Carluccio and many others in the Northeast are actively trying to stop Synagro from expanding operations in the region, because doing so is expected to increase toxic pollution. Synagro has, of course, attained some very prominent and powerful allies that are working on its behalf instead of in the interest of public health and safety. Such allies include the Department of Environmental Protection (DEP) and the U.S. Environmental Protection Agency (EPA), both of which claim that biosludge is “beneficial” for agriculture, landscaping, and mine reclamation. “There was an odor that came on us once a year, and the first time it came on us I thought they had put my septic tanks in wrong,” says biosludge expert Craig Monk, whose suburban home near Dallas-Fort Worth was invaded by foul odors from nearby biosludge operations. To learn more about biosludge, be sure to check out Biosludge.news. You can also check out more eye-opening films like Biosludged at BrighteonFilms.com. Previous :Threats, cyber-bullying now targeting scientists who study Chronic Fatigue Syndrome… when will free speech about science be allowed to exist again?